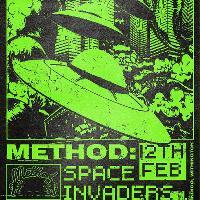 Method's third party in Manchester is a night that offers a broad soundscape of all things electronic. Our third party in Manchester is a night that offers a broad soundscape of all things electronic. loose house rhythms, pulsing breakbeat and edging electro. Channeling these elements we've got Nott's Boys Sam Cohen and Finley Bartram (Blason), as well as Method's very own Louis Cotterhill, supplying you with succulent sounds all night long.